Is there an inch of his face he won’t tattoo? 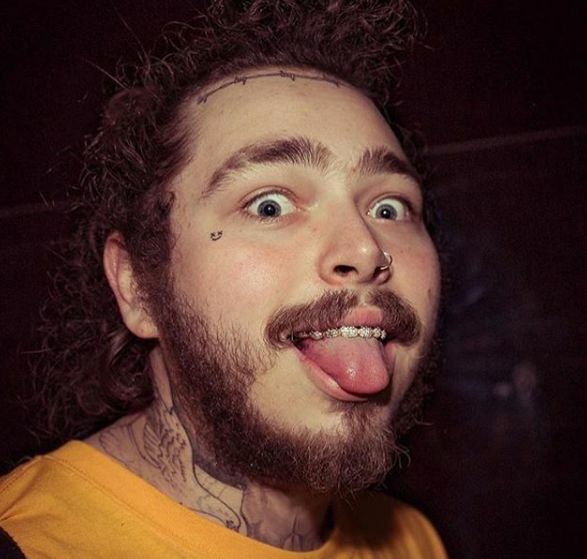 The sheer terror of seeing Post Malone's face, tatted with Always Tired, is enough to make ANYONE ask: "What is up with this guy?" You've probably heard his name listening to the radio, watching the Billboard Music Awards, or walking around Twitter. Teens and locals everywhere have been shouting him praises for "Psycho" and his other slightly-horrible discography. But really, his name alone begs the question — "Who is Post Malone? What is a Post Malone? And what is he up to… besides a lot of Xanax?" Here's everything you need to know about the rapper, including Post Malone's net worth, Post Malone's age, and Post Malone's girlfriend. So, he named himself after himself. Nice. The guy's American, if you couldn't tell by that Austin and Richard combo. 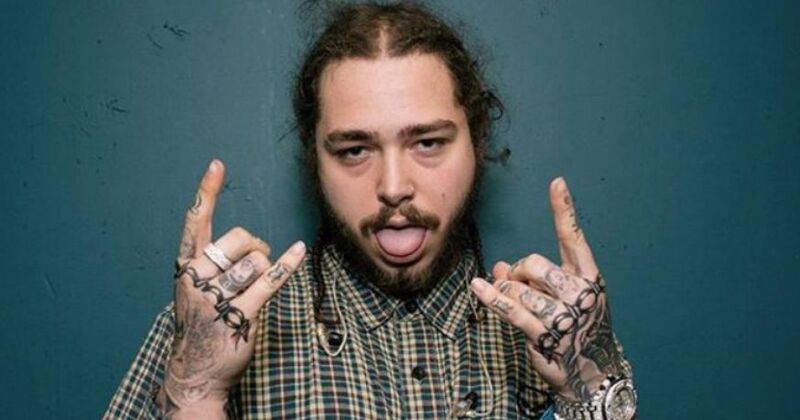 Post Malone started as a SoundCloud rapper. His 2015 single "White Iverson" got hugely popular after being praised by Mac Miller and Whiz Khalifa. 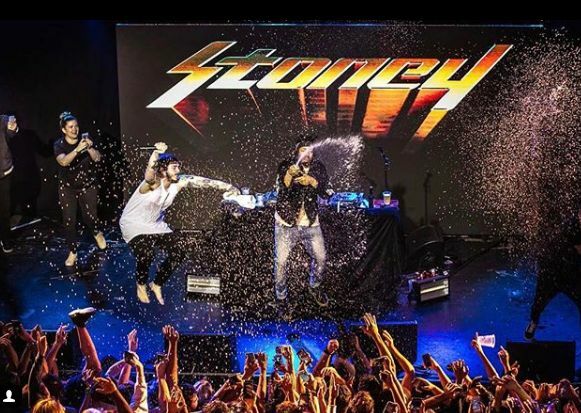 Post signed to Republic Records just months after "White Iverson" went big, and he released his first album Stoney in 2016. Songs you probably know off Stoney? "Congratulations", "I Fall Apart," and "Go Flex" were all singles on the album. Post just released his second album, Beerbongs & Bentleys. He won a Billboard Music Award for "rockstar", the album's lead single. Ok… but how profitable is all this? 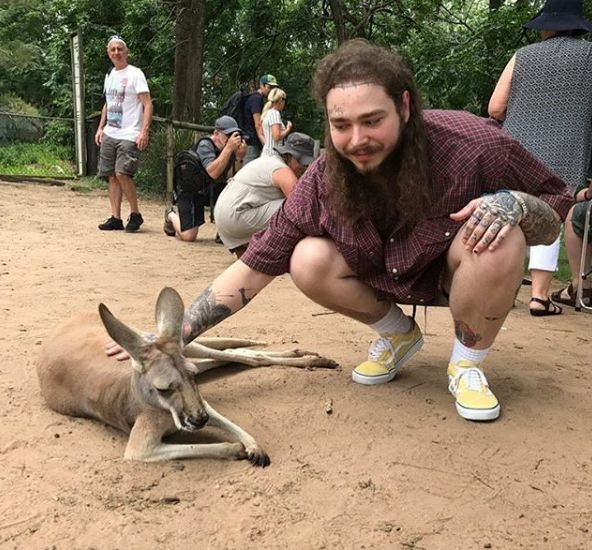 What is Post Malone's net worth? Post Malone's net worth is reportedly $8 million. DEFINITELY enough to buy himself a house with a shower. And yet…. He was born on July 4th, 1995. That makes him a Cancer. Absolutely terrifying. Post Malone has been dating Ashlen since 2015. The couple was only confirmed to be dating in 2016, when he referenced their relationship on The Breakfast Club. Apparently the two met after she booked him for a show. The couple is incredibly private, but there are entire Instagram accounts dedicated to sightings of Post and Ashlen together. But, as of February 2018, they're still together. How she deals with all that hair in bed? I have no idea. Post Malone told Rolling Stone that he deals with Anxiety and Depression. He claims it's his "big brain" that makes it so difficult to cope. A classic rapper, I see. He told Hot 97 that Xanax is his drug of choice. Not surprising for a white boy from the suburbs, to be quite honest with you. Now we know for sure what he was talking about when he sang "I've been poppin’ pillies, man I feel just like a rockstar." Post Malone is one of the biggest rappers in the game right now and he's only 22. So I hope y'all studied up, because chances are, you're gonna see that greasy face for years to come. Let's just collectively hope it doesn't get covered in more tatts.